Years ago homes used to be built with air vents like this one connecting the outside to the inside. The room in which I'm sitting has four of these passing air through the double brick wall. A few years ago I noticed that new homes appeared not to have air vents - so either vents were of no real benefit, or architects decided it was easier to just leave them off the plan. To be fair to the building trade, these vents do let in huge amounts of cold air in winter and hot air in summer - which isn't ideal. 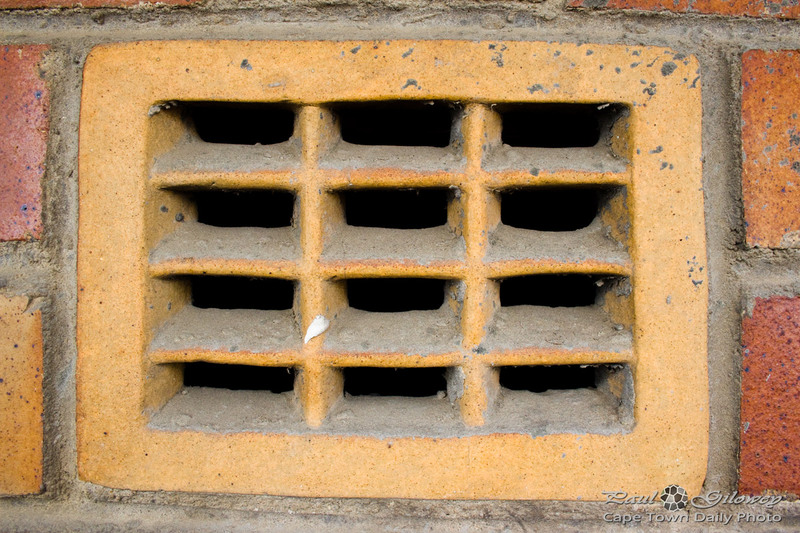 On the other hand, the absence of this ventilation may be why many small modern town-houses seem to struggle with damp in winter. Posted in General and tagged vents, walls on Monday, 2 April, 2012 by Paul.